Unmanned aerial vehicles, or drones, promise to help humans perform hundreds of jobs better, but most are limited to obtaining aerial views. 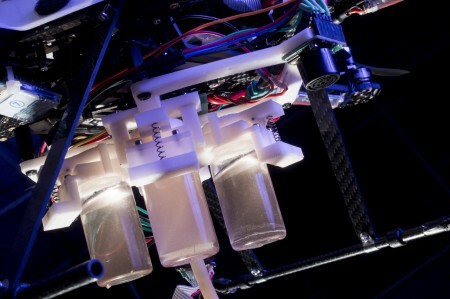 UNL computer scientists Carrick Detweiler and Sebastian Elbaum are developing UAVs that interact with the environment, greatly expanding their potential uses. 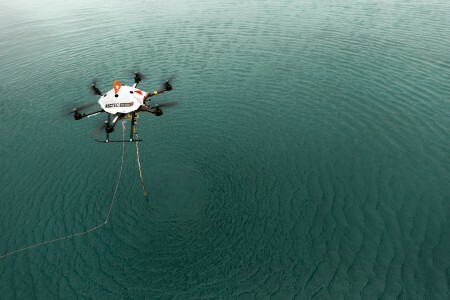 Sending UAVs to collect water samples from lakes, streams and ponds is one potential application with far-reaching possibilities. 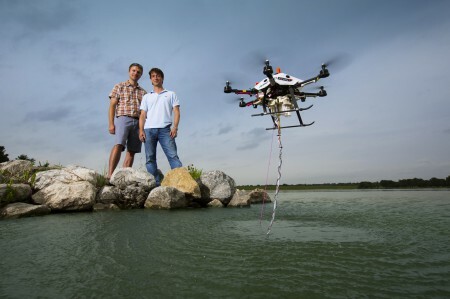 Detweiler and Elbaum are leading a national research project to develop UAVs with water-sampling capabilities. It’s part of the National Robotics Initiative, a collaboration of multiple agencies led by the National Science Foundation. A three-year, $956,000 grant from the U.S. Department of Agriculture funds this research. 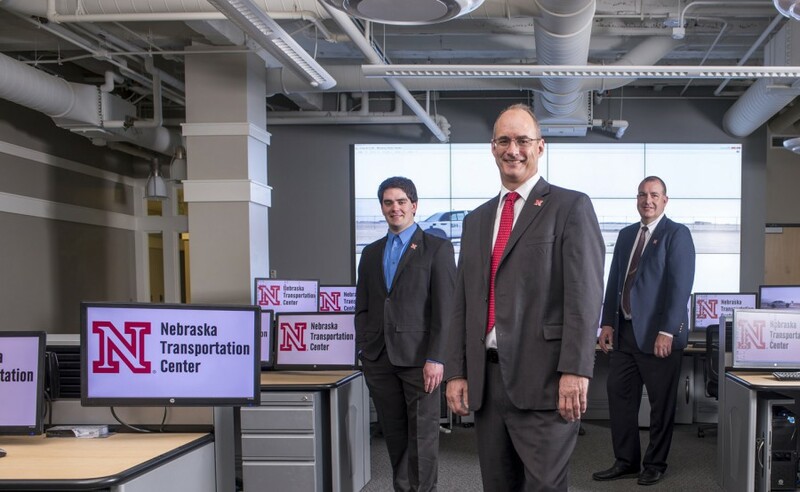 “The tools we’re developing will help scientists better understand our water systems, which are quite complex,” said Detweiler, who co-directs, with Elbaum, UNL’s Nebraska Intelligent Mobile Unmanned Systems Lab. Water sampling often involves hauling equipment, boats and people to sites, sometimes hundreds of miles away. 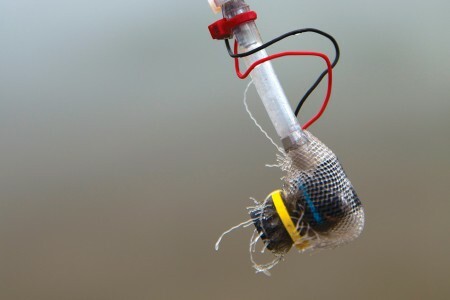 Sending UAVs to fly over the water, dip a hose and pump samples into a collection reservoir saves time and money. It also improves data collection by enabling scientists to sample otherwise inaccessible areas or to improve timing, such as collecting multiple samples at once or immediately after a rainstorm. Because the UAVs work in close proximity to people and water, the engineers are working to improve their safety, reliability and autonomy. 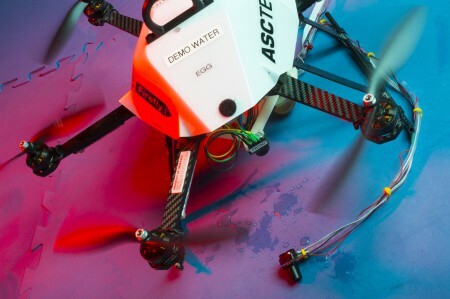 They’re collaborating with water scientists at UNL and the University of California, Berkeley, who will use the UAVs to better understand water movement. 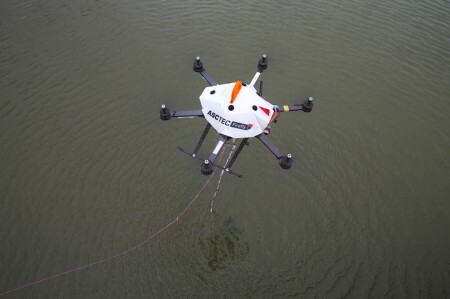 Water-sampling drones also could help regulatory agencies better monitor water quality and quantity. 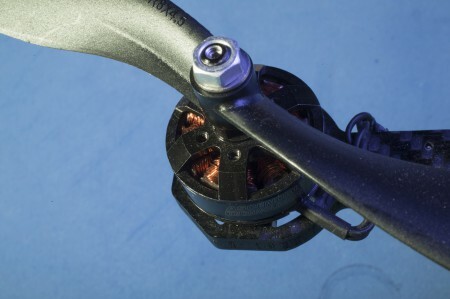 This work contributes to developing other interactive UAVs that can collect air samples, take leaf clippings, measure crop height and recharge environmental sensors, for example.